Hear the mayoral candidates and meet candidates running for City Council. Meet the candidates running for mayor and district seats. 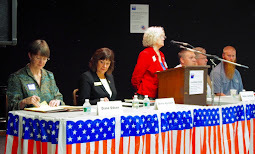 Hear the 6 candidates running for 3 Village Board seats.